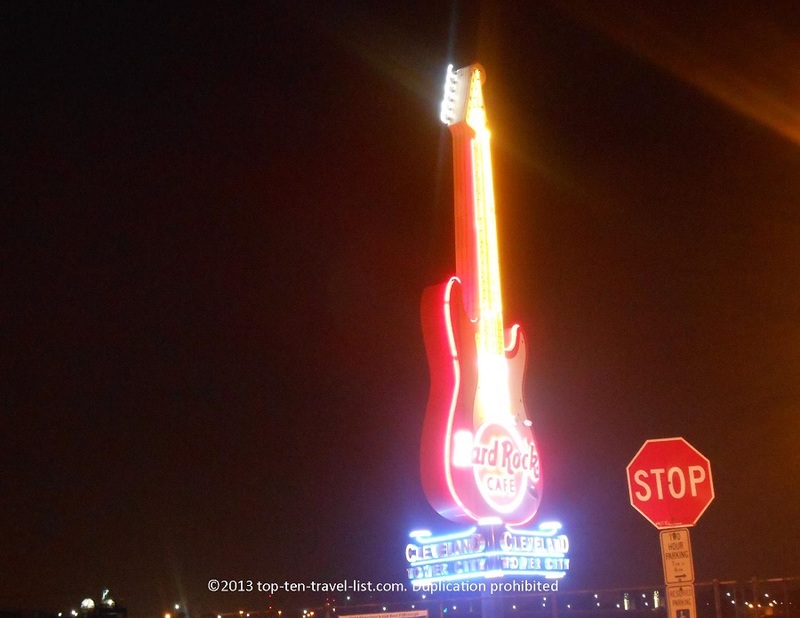 2 Days in Cleveland, Ohio - Top Ten Travel Blog | Our experiences traveling throughout the US. Cleveland: a great Midwest city with a lot to offer, including an active downtown, several professional sports teams, outdoor recreation, and an endless variety of unique restaurants. Cleveland is an ideal road trip stop for those traveling between Boston and Chicago. On our road trip from Boston to Chicago, we planned for a fun stop in a new city. We originally had planned on visiting Niagara Falls again (which we absolutely love), however, we figured it would be more exciting to give a new city a shot. Cleveland was the perfect stop as it was located at the halfway point of our journey. We left really early in the morning to ensure that we would have a full day in the city. Cleveland is a nice, moderate sized city. You still get most of the amenities of a bigger city, but reap the benefits of less traffic and cheaper parking rates. The downtown was surprisingly clean and modern. I found the downtown architecture very appealing. Everything was extremely easy to find. 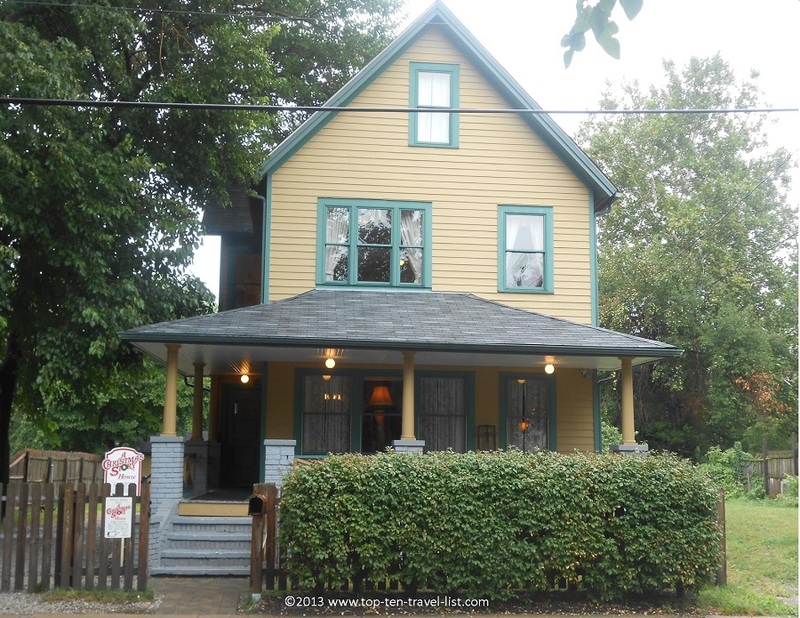 During our short 2 day stay, we had 3 major attractions on our must do list: The Erie & Ohio Towpath bike trail, “A Christmas Story” house tour, and Hard Rock Cafe Cleveland. We would have liked to stay downtown to be closer to all the action, however, our hotel options were limited as we were traveling with a pet. 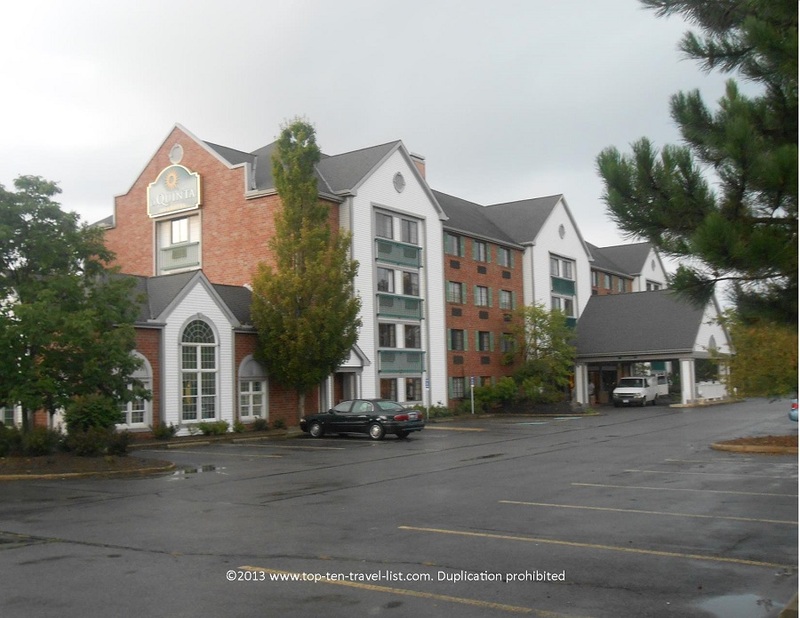 We decided to stay at the La Quinta in Macedonia, Ohio, which was located just a short drive from all our attractions. There is a La Quinta located closer to both the Towpath trail and downtown, however, we opted for the hotel with the modern update and hot tub (perfect after a 9 hour drive and lengthy bike ride). The first night of our trip we decided to head downtown for some shopping at Tower City and dinner at the Hard Rock. Tower City is a nice downtown multi purpose complex, complete with a large variety of shops, restaurants, and entertainment options. 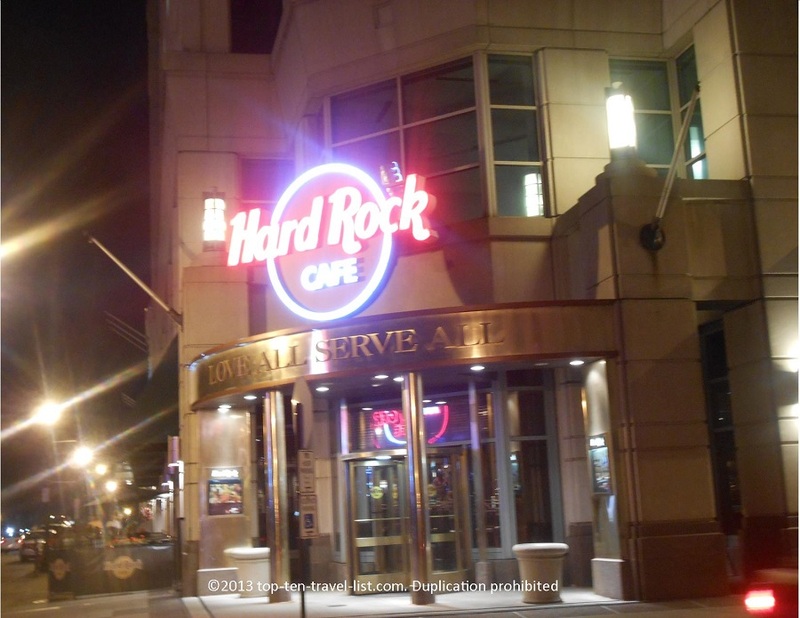 Hard Rock Cafe Cleveland is conveniently located at Tower City, an ideal location in the middle of the city. You are close to Progressive Field (where the Cleveland Indians play) and the Quicken Loans Arena (home to the Cleveland Cavaliers). We try to visit every Hard Rock location as we travel through different states across the US. We currently have collected over 20 glasses. There are dozens of other neat souvenirs to collect, including t-shirts, stuffed animals, pins, and more. We are also starting to collect the pins so we can make a guitar plaque. Cleveland’s Hard Rock was not the fanciest, however, they do win the award for friendliest staff! Our waitress was very sociable, giving us great tips on things to do in the area. She even offered to take our picture by the Hard Rock sign! On your visit, make sure to order the Jumbo Appetizer and Twisted Macaroni and Cheese! For more pictures and an in depth review, check out my full post: Hard Rock Cleveland: Great Music, Food, & Fun. The next morning we got up early, had breakfast (great free hot breakfast at La Quinta), and headed straight over to the scenic Ohio & Erie Canal Towpath Trail. This beautiful path has become one of my favorites. The trail is clean, well maintained, and best of all, not overly congested. 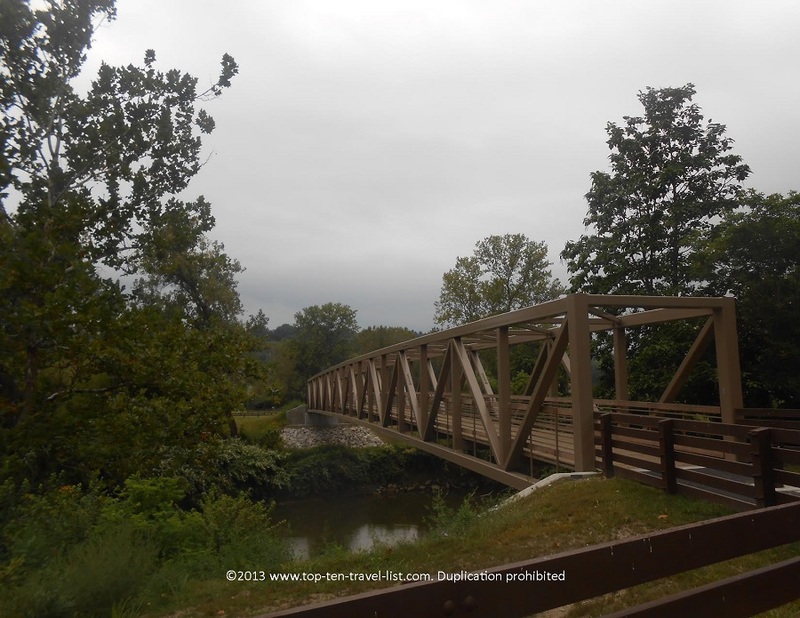 Beautiful forest and bridge scenery make the ride even more enjoyable. We are definitely planning a return trip to complete a larger section of the trail (we only rode about 15 miles on the Cuyahoga portion). Be sure to check into a scenic train ride (there is a program where you can bike one way and take a scenic train on the way back for only $3). 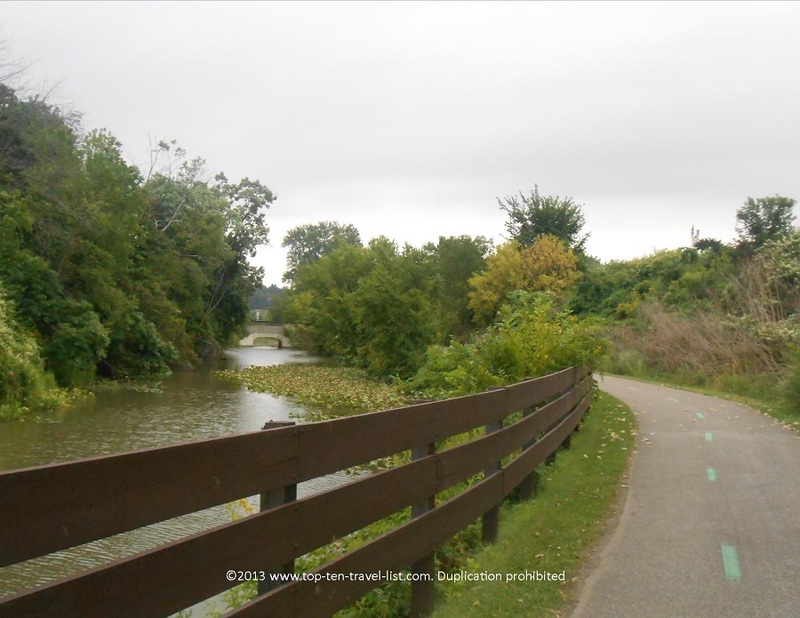 Read more about my experience on the trail: Ohio & Erie Canal Towpath Trail. After our bike ride, we enjoyed a delicious lunch at a little French cafe, Le Petit Triangle Cafe. I felt like we were sitting in an authentic Parisian cafe with food to match! I highly recommend a Dark Chocolate Crepe; what a treat! 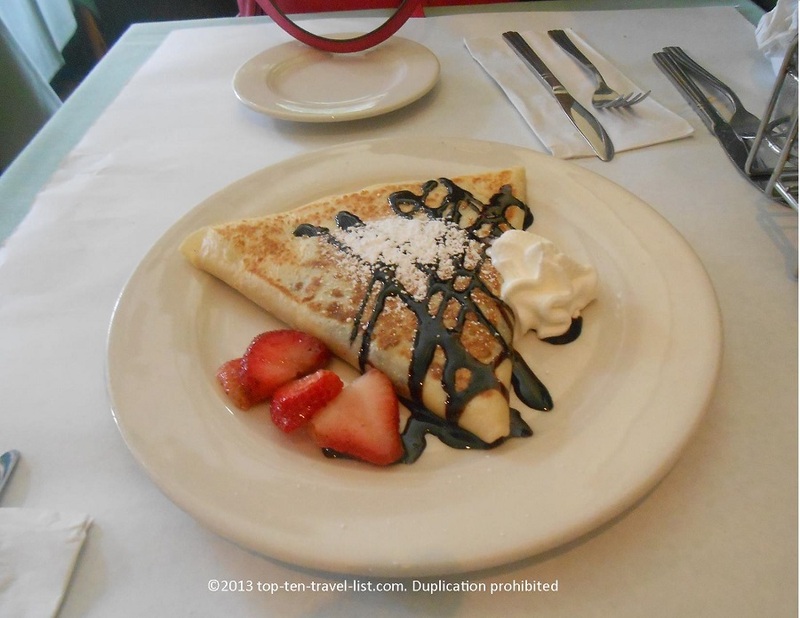 Read my full review: Le Petit Triangle Cafe: A little bit of French flair in Cleveland. The highlight of our trip was definitely our stop by “A Christmas Story” house for a tour. One of my favorite holiday classics, I was anticipating the tour the entire ride to Cleveland. I was not dissapointed; in fact, I was extremely impressed with the friendly, knowledgeable staff. The opportunity to walk through the house at your own pace without a tour guide was definitely a plus in my book. A cool museum featuring actual movie props and a huge gift shop dedicated to the movie added to the fun. The house tour is an absolutely must for fans of the classic movie. For more pictures and additional information please visit my full post: A Christmas Story: Touring the Cleveland House. Our trip to Cleveland, although short, was still a blast. Mike and I agreed that Cleveland is a great city filled with a multitude of opportunities for recreation, unique dining, sports, and entertainment. 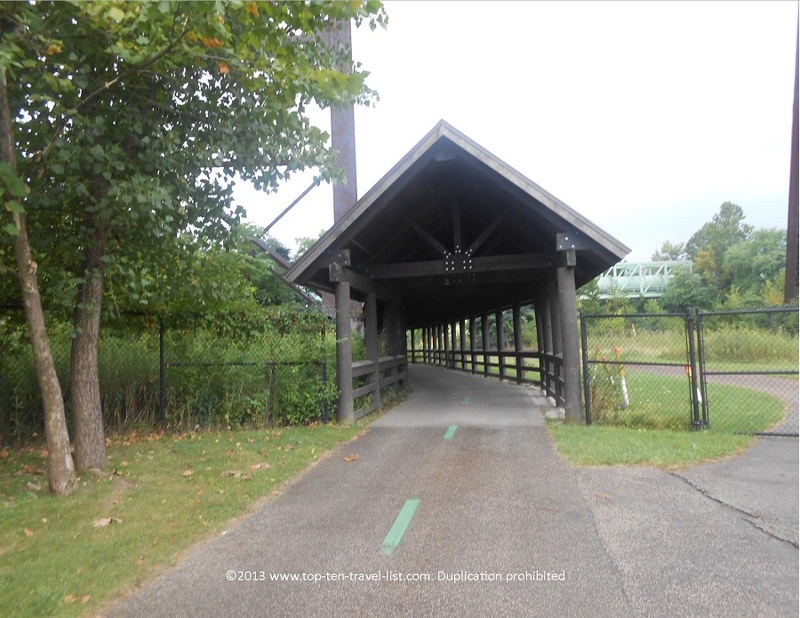 We would definitely be interesting in returning a second time to cover more mileage on the Towpath trail, explore more of the downtown, and perhaps take in a game!